Born 1967. Chairman of the board of directors since 2017. Education: MBA from Stockholm School of Economics. Experience: Thomas Eklund has extensive experience in the pharmaceutical and medtech industry as well as the financial sector. He has held different executive positions, including CEO and Head of Europe at Investor Growth Capital AB. His previous positions include Investment Director at Alfred Berg ABN AMRO Capital Investment AB and Vice President at Handelsbanken Markets. Other current assignments: Chairman of the board of directors of Itrim Holding AB, Moberg Pharma AB (publ) and Sedana Medical AB (publ). Member of the board of directors of Biotage AB, Boule Diagnostics AB, Eklund konsulting AB, Excillum Aktiebolag, Memira Holding AB, Neoventa Medical AB, Rodebjer Form AB, SciBase Holding AB (publ), Surgical Science Sweden AB, Swedencare AB (publ) and TEDCAP AB. Born 1958. Board member since 2014. Education: Master of Science from the University of Oslo (Norway). Experience: Hilde Furberg is an independent consultant and a professional board member. She has broad senior leadership experience, coming from her 35 years in sales, marketing, strategy and general management in Pharma/Biotech. Her experience is in different areas of specialty care, and from small to large global companies. Hilde has worked in companies like Genzyme and Baxter, she was most recently SVP and General Manger/European Head of Rare Diseases for Sanofi Genzyme. In addition to working for Genzyme/Sanofi Genzyme Hilde has since 2005 been a non-executive director and board member of Probi, Pronova, Clavis and Algeta. Other current assignments: She is currently an industrial advisor to Investinor and board member of BerGenBio, Calliditas, Tappin and CoB for Blueprint Genetic. Born 1956. Board member since 2009. Education: PhD in Genetics from the University of Umeå. Experience: Lennart Hansson has broad experience from leading positions within pharmaceutical development and business development in both biotech and pharma companies such as KabiGen AB, Symbicom AB, AstraZeneca, Biovitrum AB and as the CEO of Arexis AB. 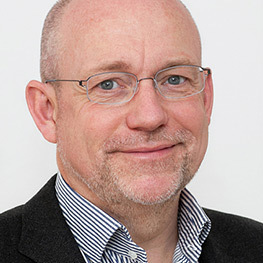 Lennart was responsible for Industrifonden’s life science operations between 2008-2016 and is today acting as Senior Advisor for Industrifonden on a consultancy basis. He has worked on more than 30 company boards and is also the co-founder of two pharmaceutical development companies. Other current assignments: Chairman of the board of directors of Sixera Pharma AB and Ignitus AB. Member of the board of directors of Cinclus AB, InDex Pharmaceuticals Holding AB (publ) and Medivir AB (publ). 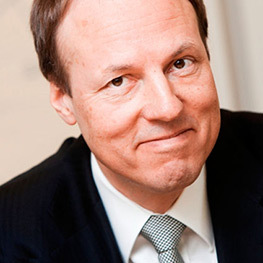 Senior Advisor at Stiftelsen Industrifonden. Holdings in the Company: Lennart Hansson does not hold any shares in the Company. Born 1965. Board member since 2014. Education: Bachelor of Business Administration from Hofstra University. MBA from IESE Business School. Experience: Olav Hellebø is CEO of the UK-listed ReNeuron Group plc and the chairman of the board of directors and co-founder of Palma Biotech S.L. in Spain. He is an experienced pharmaceutical executive who has held senior positions in the pharmaceutical industry in both Europe and the US. 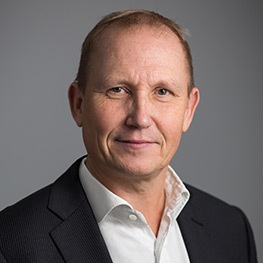 Previously, Olav Hellebø was CEO of Clavis Pharma ASA and before that he was Senior Vice President of UCB Pharma and President of Immunology Operations. In this position, he built and led the global organization responsible for the successful registration and launch of Cimzia®, UCB’s antibody drug for the treatment of rheumatoid arthritis and Crohn’s disease. Other current assignments: Chairman of the board of directors of Barcelona Bioscience. Member of the board of directors and CEO of ReNeuron. Born 1953. Board member since 2004. Education: Master of Pharmacy from Uppsala University. Experience: Bengt Julander is a pharmacist and has worked in the pharmaceutical industry since 1978. He is the CEO of Linc AB, which invests in life sciences, including the Company. 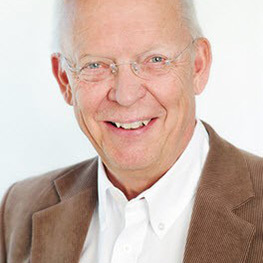 Since 1990, Bengt Julander has been primarily active as an investor in, and a board member of, pharmaceutical development companies. He has experience of developing and commercializing pharmaceutical products. Other current assignments: Chairman of the board of directors of Knil AB. Member of the board of directors of Linc AB, Medivir Aktiebolag, Stille AB, Nefecon AB, Swevet AB, ProEquo AB, Sedana Medical AB (publ), Busulipo AB, nWise AB, Swevet Holding AB, Pharmalink Nordic AB and Cronhamn Invest AB. Deputy member of the board of directors of Kv Eldstaden I Bromma AB, Algarvefastigheter AB, Eriksbergskliniken Gam AB, Linc Global AB, Linc International AB, Korkyl Holding AB, Eriksbergskliniken AB and Linc Trade AB. Holdings in the Company: Bengt Julander holds (directly and indirectly through company) 4,116,250 shares in the Company. Born 1967. Board member since 2013. Education: Master of Science in Economics and Business Administration from Bodø Graduate School of Business. Advanced Program in Corporate Finance at Norwegian School of Economics. Experience: Ann-Tove Kongsnes has 18 years’ experience of active ownership and investments, development, transactions, divestments and IPO of technology companies. 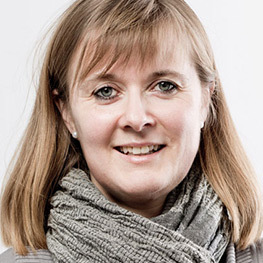 Ann-Tove Kongsnes is an Investment Director at Investinor, Norway’s largest investor in venture and expansion capital and an investor in Calliditas. Before this, she worked 7 years in international marketing, as the Directors of Marketing and Operations. 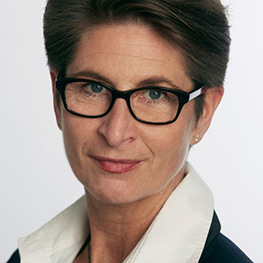 Ann-Tove Kongsnes has years of experience as an investor and a broad experience in board activities. Other current assignments: Member of the board of directors and deputy chairman of the board of Vitux AS (Ayanda) and poLight AS. Member of the board of directors of Numascale AS, Spinchip Diagnostics AS, and Curida AS. Deputy member of the board of directors of Boost AS, Boostcom Group AS, Data-Consult AS, Fondstiftelsen ved St. Olavs Hospital and Orientekspressen AS. Employed by Investinor AS. Observer in Phoenix AS. Holdings in the Company: Ann-Tove Kongsnes does not hold any shares in the Company.